HTC announced the Vive Pro Head Mounted Display (HMD) at CES 2018 in January, alongside a new wireless adapter. At the time we weren’t told the precise launch schedule or pricing for this premium headset. Now HTC has shared more info about its Vive Pro HMD launch plans, including pricing, pre-orders, and release dates. As an added bonus HTC has announced a worldwide price cut for the existing HTC Vive HMD. The HTC Vive Pro HMD will be available for $799 with global pre-orders open now. In a blog post HTC says that the premium HMDs will start shipping on 5th April. 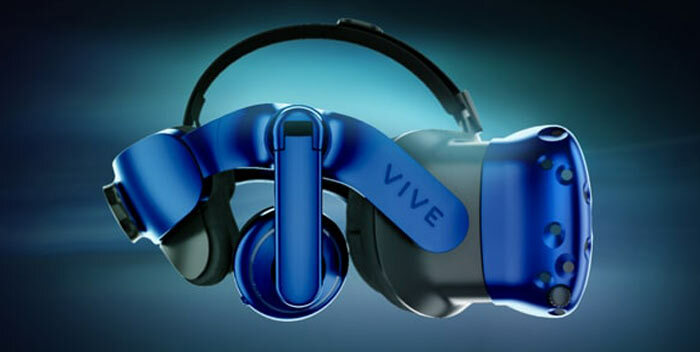 To thanks early adopters anyone purchasing a Vive Pro will receive a free six-month trial of a Viveport Subscription. This subscription service lets customers choose 5 free titles per month from a 400 strong roster. If you buy a Vive Pro at a later date the free subscription period will only be two months. On the topic of subscriptions HTC has given notice that Viveport sub pricing will increase to $8.99 per month from 22nd March onwards (this Thursday). 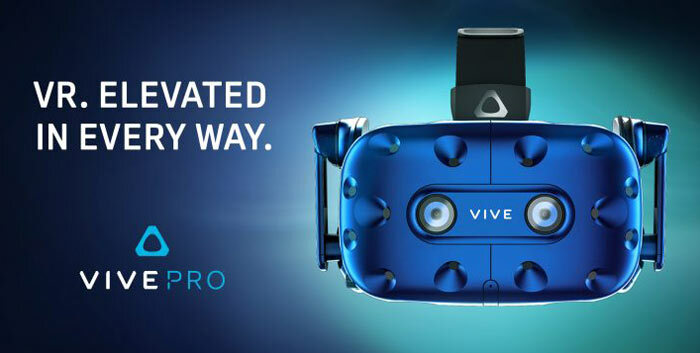 It is worth looking over the specs of the HTC Vive Pro again, as the product becomes available to (pre) purchase. One of its key improvements is the equipping of dual-OLED displays, making for a crisper image resolution of 2880 x 1600 combined. HTC says this equates to a 78 per cent increase in resolution over the current Vive HMD. Complementing the perked-up visuals are new high performance headphones with a built-in amplifier and noise cancellation tech. Interestingly, the recommended PC specs (scroll down for bullet point list) for the HTC Vive Pro are the same as those for the original Vive HMD. If you already own a current model Vive, consider that the Vive Pro works with both SteamVR Tracking 1.0 and 2.0, meaning existing Vive customers can upgrade the headset only and continue to use current generation controllers and base stations. Existing HTC Vive HMDs have been subject to a global price cut, making them now $499. HTC will continue to produce the original hardware through 2018. Rival Oculus is yet to reveal its Rift 2, or equivalent, design. However, the Facebook owned VR HMD maker has been taking the lead in sales recently and announced a no-computer-required VR headset called the Oculus Go a couple of months ago. I've ordered one, can't wait to get it. It's about time VR got a mainstream resolution bump. Now as soon as Nvidia releases its next line of cards the world can really dig in to some great looking VR with little performance trouble. You can snag 1070 and 1070 Tis for a pretty good price right now. 530-550 for a 1070 and only 610 for a 1070 Ti MSI Duke. Prices and stock are coming back to normalish levels.